Our latest commercial design project is d.FIT...an innovative personal + group training studio in Montclair, New Jersey. The cool wood walls have received so much attention that we are now offering custom walls and furniture as a DESIGN TO DOOR service. 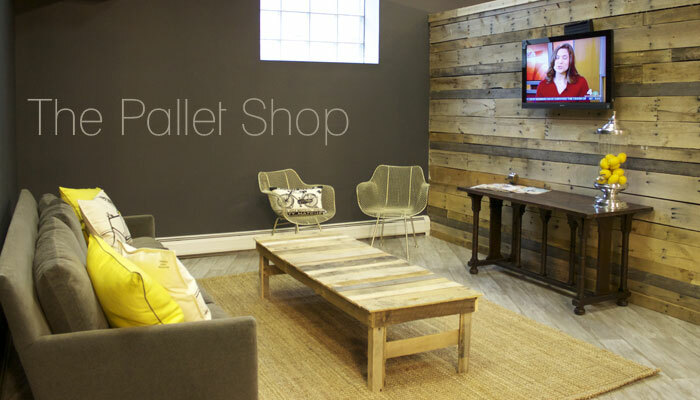 Built from salvaged wood pallets, walls and furniture can be custom-sized and finished for any space. Great rooms, kids rooms, kitchens or offices...a custom accent wall creates a feature to build an entire room around.